As I was making the 11 hour drive back from my holiday vacation, I had plenty of time to daydream about my new year’s goals for Hall or Nothing Designs. My head was in a lot of different places, because…well, anything is possible, right? As we ate our sandwiches at Jimmy John’s, one of the many signs caught my eye. It was labeled “Warren Buffet’s 10 Rules for Success”. It was like the sign was speaking to me. With an estimated fortune of $73 billion, Warren Buffett is one of the richest men in the entire world. 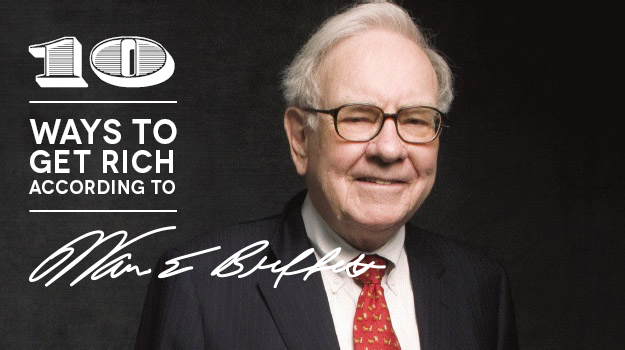 Here are some of Warren Buffett’s money-making secrets — and how they could work for you.